Aquatic today announced that the company has been acquired by The Sterling Group, a middle market equity firm renowned for acquiring and accelerating the growth of businesses in the manufacturing, distribution and industrial service categories. Well positioned to take full advantage of the housing market recovery, Aquatic expects the new partnership to propel its business forward at an even faster rate, expand opportunities for future growth and deliver even greater value to customers. Aquatic is a great fit for Sterling’s portfolio in terms of size, industry and growth potential. We're confident that this partnership will expand our opportunities for future growth and providing even greater value to our customers. Aquatic, the leader in innovative and inspirational bathware, today announced its acquisition by The Sterling Group, a middle market equity firm renowned for acquiring and accelerating the growth of businesses in the manufacturing, distribution and industrial service categories. 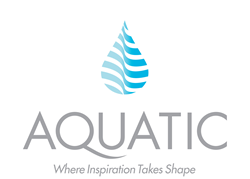 Aquatic is the third business that Sterling has acquired from the former Tomkins group in a three-year period. Sterling’s portfolio includes a limited number of companies with enterprise values ranging from $100 million to $500 million and that have strong potential for significant additional growth if fostered by strategic, operational and financial support. Sterling’s acquisition of Aquatic from Tomkins is the latest of the firm’s “carve-out” deals. During its 32- year history, Sterling has sponsored the carve-out of 22 businesses from larger corporate parents, including multiple acquisitions from DuPont, British Petroleum and Tomkins. Founded in 1982, The Sterling Group is a private equity investment firm that targets controlling interests in basic manufacturing, distribution and industrial services companies. Typical enterprise values of these companies range from $100 million to $500 million. Sterling has sponsored the buyout of 45 platform companies and numerous add-on acquisitions for a total transaction value of over $10.0 billion. Currently, Sterling has over $1.0 billion of assets under management through two active funds. Current portfolio companies include CST Industries, Universal Fiber Systems, Express, B&G Crane, Saxco International, Liqui-Box, Dexter Axle, Safe Fleet and Roberts-Gordon. Aquatic offers a large and innovative selection of high quality tubs, showers and bathware accessories used primarily in residential single- and multi-family housing markets. The company’s world leading Hydrotherapy, Everyday and Accessible lines include more than 300 products for virtually every bathing need – all inspired and crafted in America. Based in Anaheim, California, Aquatic serves distributors, builders, plumbing professionals, architects, designers and consumers through a nationwide network of state-of-the-art facilities for manufacturing, distribution and support. For more information, visit http://www.aquaticbath.com.